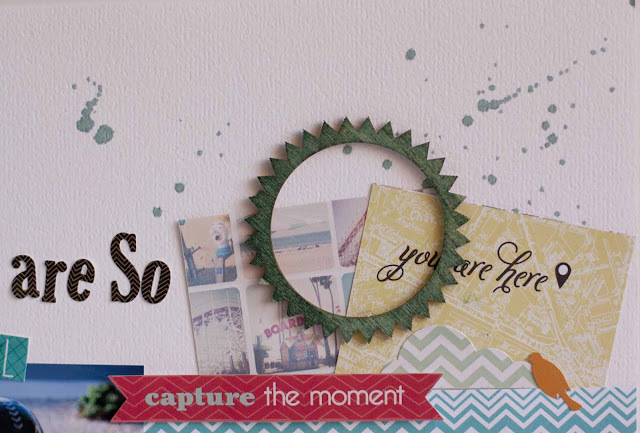 My Cluttered Corner: ScrapbookSteals Blog Hop and Giveaway! I also sprayed the Mister Huey's Water Cooler directly on some wood veneer. Do you love the aged look it creates? and VOILA I have a cute and unique re-usable shopping bag! If you weren't already a big fan of Mister Huey's I hope I've at least shown how versatile it can be! You have until Sunday August 12th at 11:59 pm to leave comments. One lucky commentor will win a $20 gift certificate to ScrapSteals.com. And if you leave a comment here you will be in the running for a little prize from me including a brand new Studio Calico Wood Veneer frame set like I used in the layout above. To win my prize you just have to follow my blog and leave a comment telling me you did (or already do! ).Good luck and thanks for stopping by! awesome, I love the bag. Love the lo! Great use of the mist! This is a great layout! The green is great. Love that bag. Super adorable! Super cute layout and I love the bag! i'm a new follower! thanks for the opportunity to win! Love, love this layout-and the mask is fantastic! Love the mask and sprayed wood veneer! Now following you. I have got to get that mask! Great! I love the look of the reusable bag!! What a great idea! I followed and would love to win the gift code. Love the misting and now I'm a follower of your blog, too! 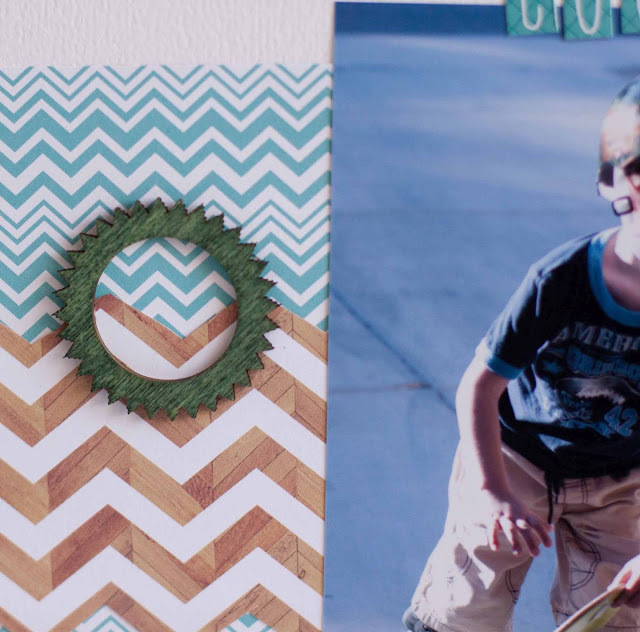 Super cute projects with some of my fav products! I love your layout! And that bag would be the envy of any shopper! Wow! I MUST have that saturated yellow taxi! Awesome use of mists! I love the way they look on the wood veneer!! I never would have thought to try it on fabric! Genius! Love all the splatters and inky goodness! Love the bag !! Great job !! Great projects! 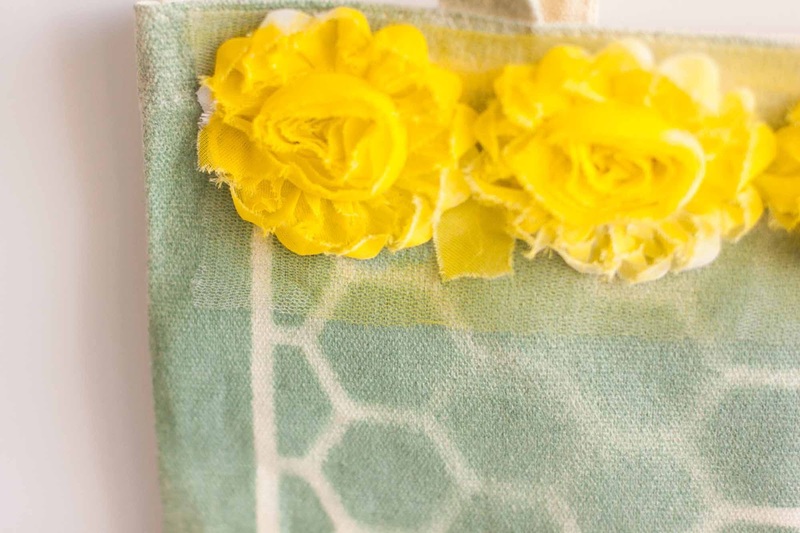 Love the layout, and what a great way to decorate a bag! love the look on the wood!! great use of the mists!! Love the bag!! great LO too! I love the flowers on the canvas bag! Also, I may have to go get some wood embellishments now so I can spray them too! I love me some Mister Huey Mists! I love the colors on that layout and the pop of yellow on the bag. I'm now a follower! Wonderful LO and the canvas bag is awesome! Love the shopping bag..neat idea. I like your use of the spray on the wood veneer. I would not have thought it would work well on it. Thanks. that Mr. Huey's does look fabulous on the wood veneer! Love the idea of using it on some of the wood veneers!! I have a handful and spend time painting them!! Spraying them sounds more up my alley and definitely my style! Cute! I love the look of the wood veneer with the spray, but I've got a LOT of canvas bags that could use a little jazzing up! Thanks for sharing your great idea! I always forget one can use spray inks 'off paper'! Love the pattern and the green! Great use of mist in your projects! Love how it colored the wood veneer!!!! Amazing! I now follow your blog!!! You can decorate most anything so quickly with the mists and stencils. Fun and satisfying. I like the dressing up the plain bag. The sprayed veneer is a gorgeous look. I have a question about the canvas bag - when I've sprayed on fabrics there seems to be a lot of color rub off. Did you have that problem? Do I just need to wash? I'm a little afraid to take my ink off paper again because of it. I didn't have any problems with the spray rubbing off, but the canvas bag I used was one I bought at a big box craft store made specifically for altering. Maybe it was prewashed and treated to take paints, sprays etc? I think most mists like Mister Huey's are alcohol based so they should not rub off fabrics easily, but I did give the bag an entire 24 hours to dry before I touched it. Usually I dont have that much patience, but I knew in this case if it wasn't 100% dry it was going to get everywhere lol! Great work! I love the masking. So pretty and it looks gorgeous on the bag. Super inspirational! Great LO & LOVE what you did with the bag! Thanks for the inspiration. Great work. Wow, I not even think to use them on canvas bags! Love it! I love that ag! What a great idea! Oooo, I am soooo happy to have found you, I will follow all your work, I need all the inspiration I can get! Now I wont be so afraid to use new things, like the mist! Hi Rebecca! I'm a fellow hopper with you this weekend! Just wanted to say I totally love the idea with the bag! So original!! Loving the LO... so adorable!!! 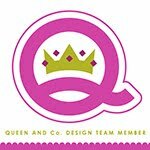 I hope your fellow designers qualify for blog candy. Great LO. Love the bag! Great idea I will have to try! Great projects, thanks for showing how versatile it can be! Love the splatters, neat idea! That canvas bag is so cool. Love the page as well. I have never been to your blog before it is really nice. Thanks for sharing. Love the projects. Can't wait for my mists to arrive so i can try them out. I love love love the bag! What a great idea!! Great LO . . . and love the bag! Am now a follower. Love the bag. What a great idea! I am a follower now. I love how you decorated your shopping bag. FANTASTIC job Rebecca--CONGRATS on the GDT gig! Love the use of mists on the bag! thanks for the ideas! Great ideas! I love how you made it seem so simple! Great usage on the bag, I am always looking for a way to make those canvas bags look nicer. WTG showing off all the different textures mr. Huey's works on - fun projects today - thanks for sharing! Great ideas, I love the hexagon bag! Love it! Thanks for the ideas and a chance to win! Awesome work! Love that bag! P.S. I am a new follower via Google Reader! Love what you did with the mists!! I didn't know they could be used on fabric. That bag is awesome!! Such a cute layout and love the bag! I'm a follower of your blog. Thanks for the chance to win. Great misting on the layout, but my fave is definitely the fun shopping bag! Cute lo! The bag is awesome! I just became a follower of your blog. Love your layout and the altered bag is adorable. Thanks for showing how you made it. I love the bag idea. I have some mists, but have been afraid to use them, since I wasn't sure quite how to use them. Now following your blog. Thanks for the idea. Love the misted hexagon patterns and all the chevrons! 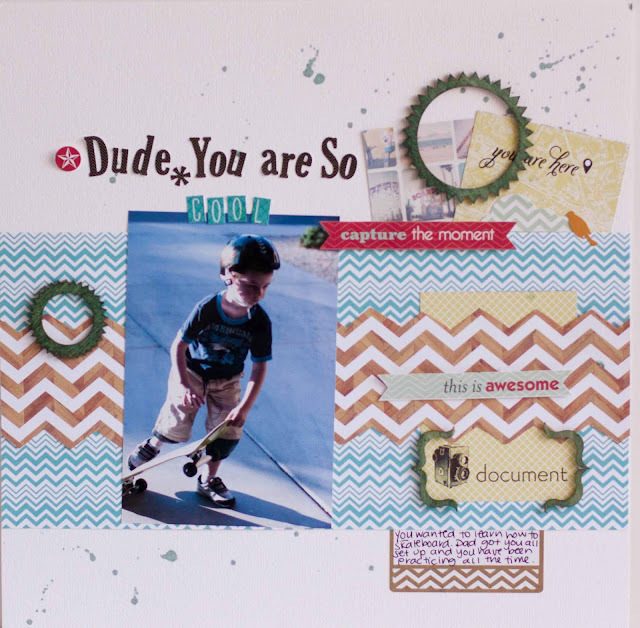 Great inspiration for boy pages! Love this!!! That bag is way cute!!!! Love your projects, makes me want to create a bag for myself. Too cute! I am so excited to use the Mister Huey Mist. Love seeing the different options using the product. These Blog Hops are a great way to discover new artists to follow ... this is fun! Your bag project is a great idea - Thanks! Love your bag and your layout! That's a great idea! I've never used the sprays before, but may have to try them now. 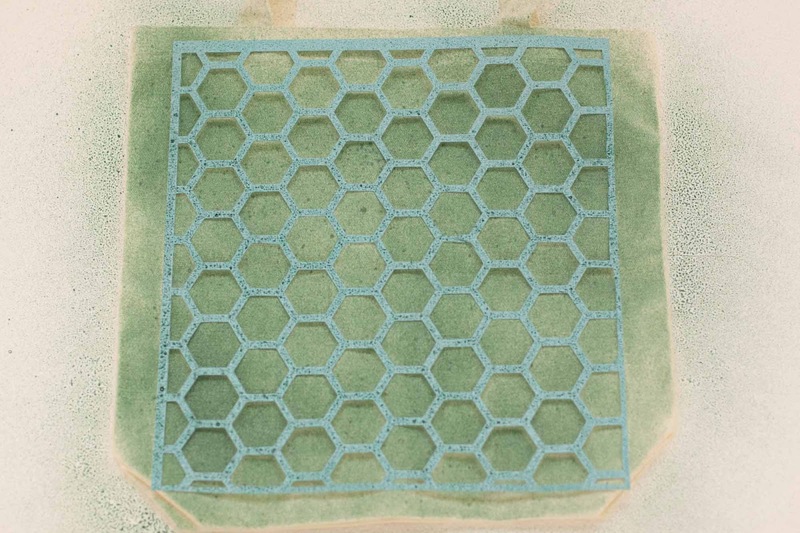 Love the honeycomb stencil idea! I love your canvas bag idea! I sure hope you don't mind us scrap lifting from you! love what you did with the hexagon mask! Did not know it can go on canvas... but my question is, is it washable?? I love how you showed how versatile they can be! 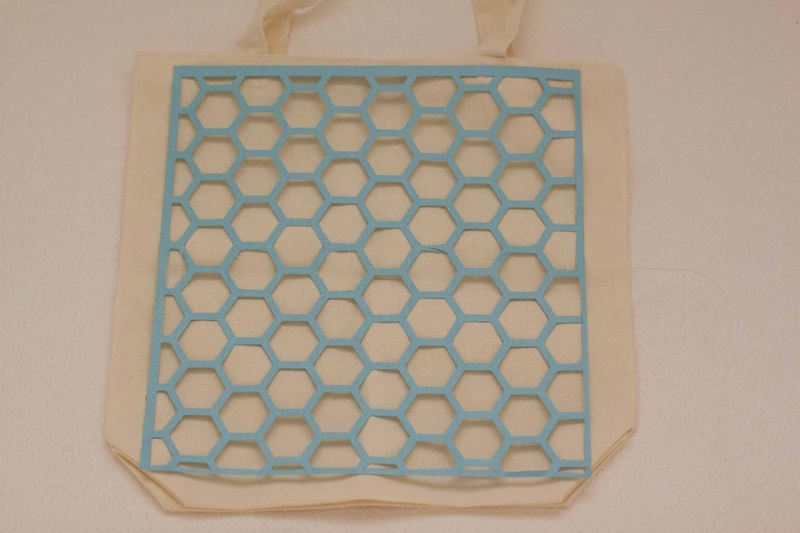 How cool on the canvas tote?! I just bought a very similar stencil - thanks for the great idea! I cannot wait to try this out. I love how both the wood and honeycomb turned out. Great job with the mists! I love the layout - such wonderful little touches here and there. <3 And the bag is simply adorable. OMGosh....how cute is he with all of his board gear?!?! 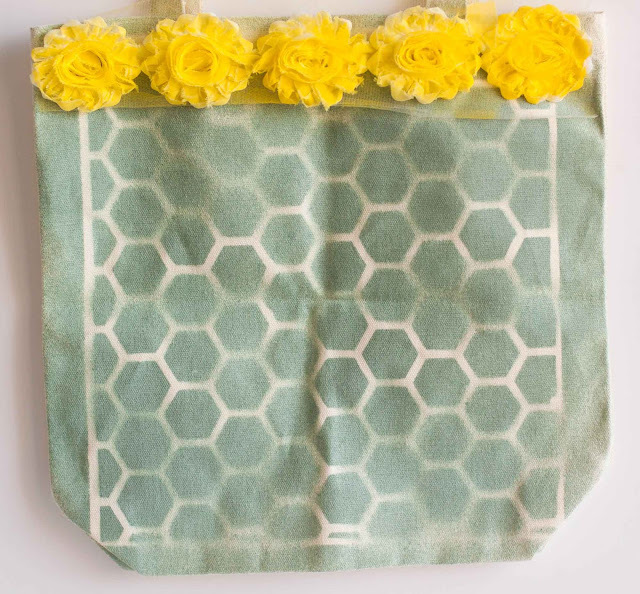 Love what you did with all of the mist and the canvas bag is so pretty!